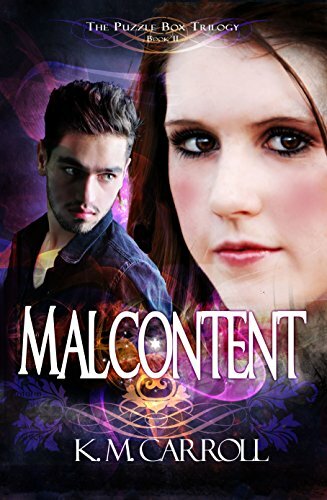 Six months after the events of MALEVOLENT, Mal and Libby are struggling with the side effects of having two souls combined in one body...and the uncomfortable intimacy it brings. When Mal captures a hive of killer bees, they inform him of a new threat from the Necromancer. Dark barriers and dangerous sigils are mounted around the valley. At the same time, Libby begins training with the Marchers, who will instruct her in the use of life and death motes. But the Marchers are on a relentless hunt for the Lich Prince and his hidden soul – which she now carries inside of her. Now Mal and Libby must find a way to extract Mal’s soul before they are caught by the Marchers - killed by the Necromancer - or destroyed by the slow subsumption of their souls. The first book in this series made #2 in my top 10 books of 2015, so I was definitely excited for this next installment. It definitely doesn't disappoint. Mal and Libby's relationship is progressing quickly, due in part to the whole "she's got his soul" thing that happened at the end of book one (whoops). There are also some killer bees, and we get deeper into the motivation of the "big bad" (Mal's dad) and the world building behind the Marchers and the magic system. As to whether this can be read independently of the first book, hard to say. Probably, but I wouldn't try it because you lose too much (the establishing of the relationship and things like Mal's bees which are recapped, but better experienced by reading book one). Over all a strong second act which while not a cliffhanger does set up a follow up quite nicely.